Enhance your borders with fragrant blooms! 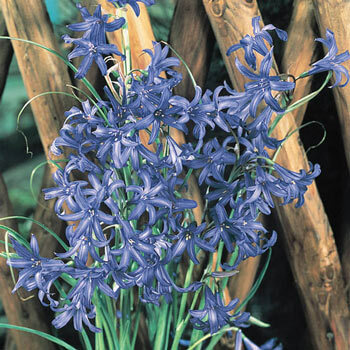 Striped, violet-blue blooms enhance borders and rock gardens, and look charming in bouquets. You'll also enjoy their intoxicating fragrance! Lavender Mountain Lilies are multi-floral (5-10 blooms) and multiply annually. Planting Instructions: Plant 3" deep and 2 - 3" apart. Fall planted bulb. Soil Requirements: well-drained, humus rich soil. 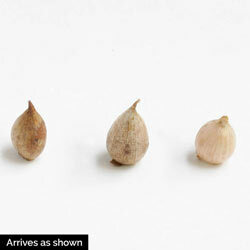 Pruning: Let foliage die down naturally allowing the bulb to store energy for next year's blooms. Winter Care: Mulch can help to protect the bulbs in the coldest winterst in the coldest zones. Additional Information: Does not like to be planted in an area that collects excess winter moisture.